Increase Hand Hygiene Awareness and Practice. Lower Absenteeism. 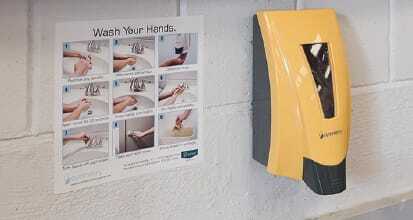 Reduce Hand Hygiene Costs. Absenteeism can impact student learning and achievement. The Centers for Disease Control and Prevention (CDC) and World Health Organization (WHO) state that hand hygiene is one of the most important steps in preventing illness and stopping the spread of germs to others. The CDC reported that over two-thirds of U.S. students 5–17 years old missed school over a one-year period due to illness or injury. Illness-related absences can be a major concern in schools and universities but can be improved dramatically through a proper hand hygiene program. 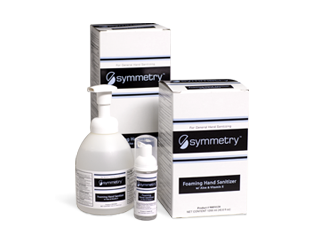 Symmetry understands the importance of hand hygiene acceptance and manufactures products that students and staff want to use. 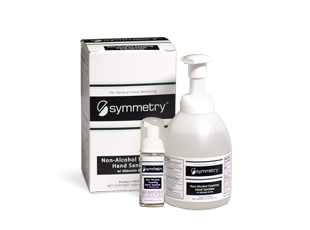 The Symmetry Hand Hygiene Program offers a complete line of hand hygiene products, awareness and education tools, behavior modification tools, and training for your needs. 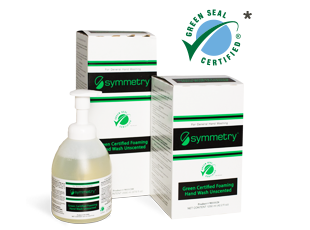 Symmetry’s line of innovative hand washes, hand sanitizers, body washes, and dispensers are ideal for any market. Symmetry dispensers have large sight windows for checking product levels, are available with hidden locks or keyed, and may be customized with your logo, message, and color. Hand hygiene product costs are measured by cost-per-push, and determine savings by dividing the cost of the product by the number of hand washes. 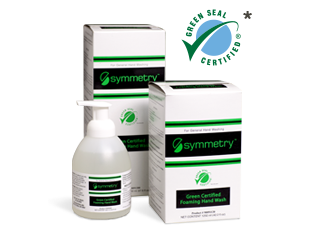 Symmetry Hand Hygiene offers one of the best cost-per-push in the industry. 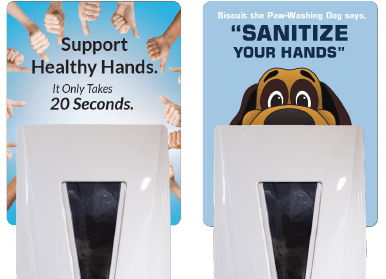 The ergonomics of the Symmetry dispenser combined with behavior modification placards and educational signs inspire hand hygiene practices at the source. 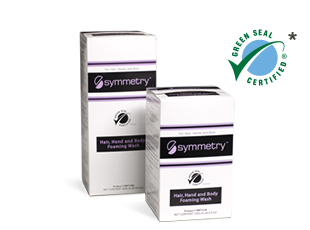 "Symmetry soap and hand sanitizer have been a big hit in all of our schools. Our attendance is above the state average. I cannot say it is entirely because of the new product, but I do think my nursing staff has been encouraging students to wash their hands more often and so have the teachers, and I think they are because of the new products. We have had an overwhelming positive response to it." The Symmetry Hand Hygiene Program offers informative, customizable education and awareness tools that focus on the “how” and “why” of proper hand hygiene to help you maximize hand hygiene practices in your facility. 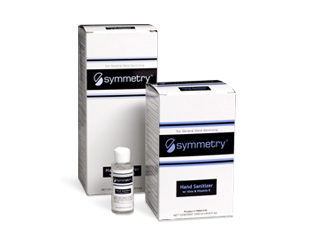 Symmetry utilizes behavioral science to drive hand hygiene practices. As a value-added component of our program, the SBMS is a set of unique placards and signs with messages designed to inspire and maximize hand hygiene practices. The Symmetry Try & Buy Program is a great way for you to gather valuable feedback from the people using your hand hygiene products. Your representative will work with you to determine where Symmetry dispensers will be installed for testing. Your representative brings the appropriate Symmetry dispensers, hand hygiene products, and surveying tools. Test Symmetry hand hygiene products and gather feedback. Each Symmetry dispenser will have a feedback sticker attached with your contact information on it. Once product testing and evaluation are complete, meet with your representative to review results and general feedback. The Honors Custodial Training Program incorporates multi-purpose products that reduce labor with easy-to-follow procedures and the resources you need to clean and maintain a school or university. Watch training videos and review Honors Program knowledge with online tests available for each video segment. Download wallcharts and training presentations customizable for your specific needs. Rate the cleanliness of your school or university by area. Add comments and attach pictures of the areas in question. Use the survey as a program baseline, and then take the survey again after using the Honors program to determine overall improvement. View comprehensive reporting for tests, surveys and videos.